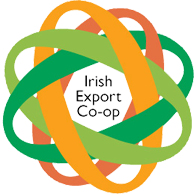 What is the Irish Export Cooperative? We’re a group of small medium and micro enterprises set up to reduce the costs of exports in Ireland. Many SME’s face high costs of exporting. Selling items online, small businesses are finding it hard to get competitive rates without guaranteeing future volumes. ‘A small business owner in Kildare sells specialised motorbike parts to the UK. It is cheaper for him to travel to Newry to post his packages than it is from Newbridge. He makes this 5 hour round trip twice a week. That’s 10 hours from his week that still saves him hundreds in delivery fees’. Our model is simple here in the Irish Export Cooperative. By combining our volumes, we have negotiated better terms with couriers. These terms give us a competitive edge in exporting internationally. We reduce costs to increase volumes, create jobs, increase exporting for small business and get some value back into the economy at this important time in Ireland’s history. 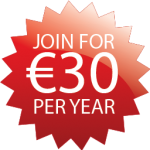 Irish Export Cooperative has achieved discounts for their members on international delivery. These reductions amount to a highly discounted rate. For the first time, small crafts people, food producers and micro enterprises can export at an affordable cost. The implications are profound for small retailers and small medium enterprise (SME) here in Ireland. What started as a Twitter conversation on the #smecommunity hash tag has grown into a proactive initiative to help and support small, medium and micro sized enterprises to export their goods and enter new foreign markets. DHL Express has been awarded the contract as the International Express carrier for the Irish Export Cooperative. As a member of the Irish Exports Co-operative, you will now be able to avail of a special highly discounted group rate with DHL Express. This will enable small crafts people, food producers, micro enterprises and SME’s to both import and export documents and packages to over 220 countries on an Air Express service. Not only will you experience enhanced transit times and significant cost savings, you will now be able to avail of the Express 12 service as standard. But more important than that, is the support of the companies and sole traders, crafts people and small businesses that are engaged by our model and how they can come together to reduce the cost of their deliveries.